While it has got more difficult over the years there is still some fishing in the waters around Islay. 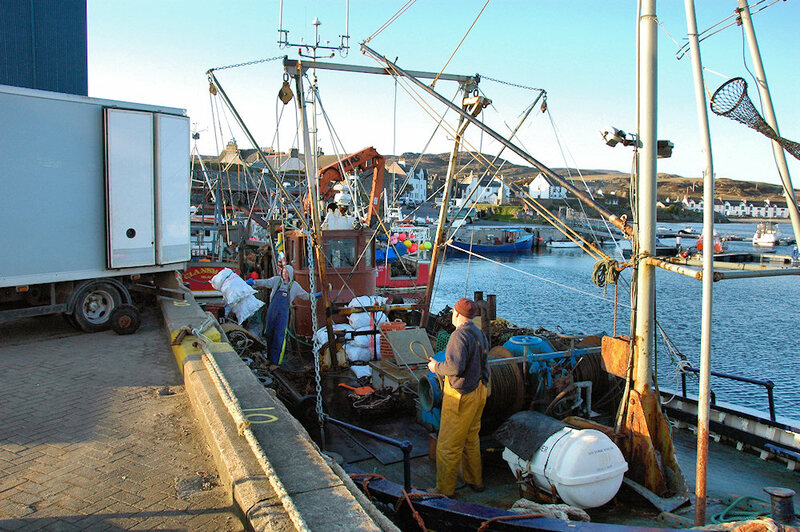 Here a fishing boat is unloading its catch at the pier in Port Ellen. This entry was posted in Landscape, Repost, Sunny Weather, Village and tagged Fishing Boat, Islay, Port Ellen by Armin Grewe. Bookmark the permalink.